Entry fee: $35 is required for up to 5 images. For this competition, the gallery invites photographers, worldwide, to submit their best work using analog, digital, digital manipulation and/or any alternative processes for an online group exhibition. 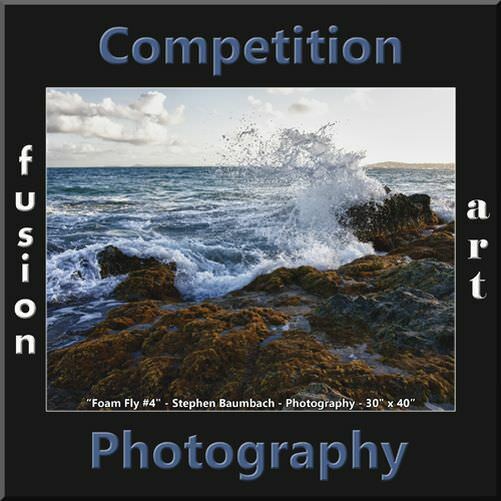 For this open, no theme, competition all photographers over the age of 18, regardless of location or experience, are encouraged to submit their best representational and non-representational photography and digital art. Best in Show and 2nd through 5th Place awards will be given. The Best in Show winner will be invited to Fusion Art’s 3rd Annual Group Show in Palm Springs in February 2019. The top five award winning artists will have their award winning artwork included and promoted in Fusion Art’s gallery on Artsy.net. Image requirements: jpeg format, 72 dpi; under 3 Mb in file size; no frame, mat, or watermark.